Much actuarial work is underpinned by the use of economic models derived from mainstream academic theories of finance and economics which treat money as being a neutral medium of exchange. The sustainability of a financial system whose understanding is based on a limited view of the role of money has increasingly been subject to criticism. In order to identify needed research programmes to address such criticisms and improve these disciplines, we sought to understand the current state of knowledge in economics and finance concerning the link between monetary and financial factors and sustainability. We have approached this through a search for relevant literature published in the highest-rated academic journals in economics, finance and the social sciences for titles and abstracts containing both references to the financial system on the one hand, and sustainability and environmental factors on the other. The systematic search of a universe of 125 journals and 355,000 articles yielded the finding that surprisingly few research papers jointly address these concepts. 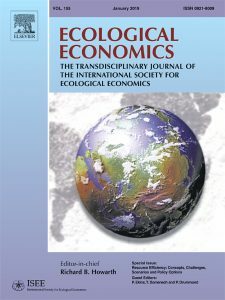 Nevertheless, we find that current research shares a broad consensus that the implications of the growth-oriented economic model results in an increasingly interconnected and fragile financial system whose participants are not incentivised to fully recognise the natural environment and resource constraints. 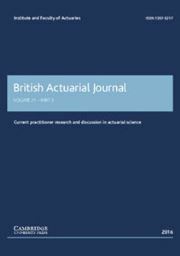 We further observe that the prescriptions offered are relatively limited and small-scale in their outlook and that there is a vital need for further research, particularly for actuaries who are required to take a longer-term outlook. 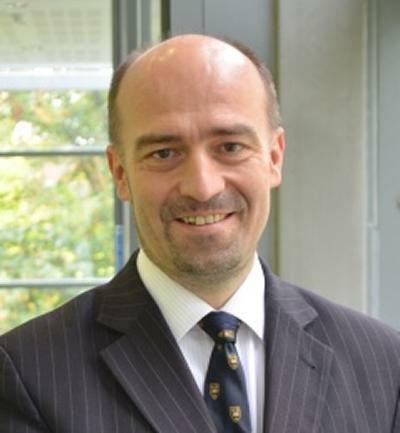 The Resource and Environment Board has supported this work with two key objectives: first, to identify research that may have direct application to actuarial work and, second, to identify gaps in academic research that would help drive the Institute and Faculty of Actuaries’ own research agenda. With this in mind there are three further areas of potential actuarial research. These are the policy aim of pursuing growth without limit within a finite ecosystem; discount factors as the primary means of capital allocation and investment decisions; and the use of gross domestic product as the key metric of economic activity and success. We also conclude that further academic research is urgently needed to understand the sustainability of the banking and monetary system. The rate of interest – the price of money – is said to be a key policy tool. Economics has in general emphasised prices. This theoretical bias results from the axiomatic-deductive methodology centring on equilibrium. Without equilibrium, quantity constraints are more important than prices in determining market outcomes. In disequilibrium, interest rates should be far less useful as policy variable, and economics should be more concerned with quantities (including resource constraints). To investigate, we test the received belief that lower interest rates result in higher growth and higher rates result in lower growth. Examining the relationship between 3-month and 10-year benchmark rates and nominal GDP growth over half a century in four of the five largest economies we find that interest rates follow GDP growth and are consistently positively correlated with growth. If policy-makers really aimed at setting rates consistent with a recovery, they would need to raisethem. We conclude that conventional monetary policy as operated by central banks for the past half-century is fundamentally flawed. Policy-makers had better focus on the quantity variables that cause growth. It is often asserted with confidence that foreign direct investment (FDI) is beneficial for economic growth in the host economy. Empirical evidence has been mixed, and there remain gaps in the literature. The majority of FDI has been directed at developed countries. Single-country studies are needed, due to the heterogeneous relationship between FDI and growth, and because the impact of FDI on growth is said to be largest in open, advanced developed countries with an educated workforce and developed financial markets (although research has focused on developing countries). We fill these gaps with an improved empirical methodology to check whether FDI has enhanced growth in Spain, one of the largest receivers of FDI, whose gross domestic product growth was above average but has escaped scrutiny. During the observation period 1984–2010, FDI rose significantly, and Spain offered ideal conditions for FDI to unfold its hypothesized positive effects on growth. We run a horse race between various potential explanatory variables, including the neglected role of bank credit for the real economy. The results are robust and clear: The favorable Spanish circumstances yield no evidence for FDI to stimulate economic growth. The Spanish EU and euro entry are also found to have had no positive effect on growth. The findings call for a fundamental rethinking of methodology in economics. • The test allows to control for all transactions, delivering clear-cut results. How do banks operate and where does the money supply come from? The financial crisis has heightened awareness that these questions have been unduly neglected by many researchers. During the past century, three different theories of banking were dominant at different times: (1) The currently prevalent financial intermediation theory of banking says that banks collect deposits and then lend these out, just like other non-bank financial intermediaries. (2) The older fractional reserve theory of banking says that each individual bank is a financial intermediary without the power to create money, but the banking system collectively is able to create money through the process of ‘multiple deposit expansion’ (the ‘money multiplier’). (3) The credit creation theory of banking, predominant a century ago, does not consider banks as financial intermediaries that gather deposits to lend out, but instead argues that each individual bank creates credit and money newly when granting a bank loan. The theories differ in their accounting treatment of bank lending as well as in their policy implications. Since according to the dominant financial intermediation theorybanks are virtually identical with other non-bank financial intermediaries, they are not usually included in the economic models used in economics or by central bankers. Moreover, the theory of banks as intermediaries provides the rationale for capital adequacy-based bank regulation. Should this theory not be correct, currently prevailing economics modelling and policy-making would be without empirical foundation. Despite the importance of this question, so far only one empirical test of the three theories has been reported in learned journals. This paper presents a second empirical test, using an alternative methodology, which allows control for all other factors. The financial intermediation and the fractional reserve theories of banking are rejected by the evidence. This finding throws doubt on the rationale for regulating bank capital adequacy to avoid banking crises, as the case study of Credit Suisse during the crisis illustrates. The finding indicates that advice to encourage developing countries to borrow from abroad is misguided. The question is considered why the economics profession has failed over most of the past century to make any progress concerning knowledge of the monetary system, and why it instead moved ever further away from the truth as already recognised by the credit creation theory well over a century ago. The role of conflicts of interest and interested parties in shaping the current bank-free academic consensus is discussed. A number of avenues for needed further research are indicated. Bubbles and crashes have long been an important area of research that has not yet led to a comprehensive theoretical or empirical understanding of how to define, measure, and compare such extreme market events. Highlights of the vast literature on bubbles, crashes, and volatility are surveyed and a promising direction for future research, based on a theory of short-side rationing, is described. The theory suggests that, especially in extreme market conditions, marginal quantities held or not held become transactionally more important than the prices paid or received. Our approach is empirically implemented by fitting monthly elasticity of return variances to an exponential expression. From this follows a comparison of changes in implied versus realized volatility, generation of an extreme events line (EEL), and a crash intensity comparison metric. These methods open a new perspective from which it is possible to analyze bubble and crash events as applied to different time scales and asset classes that include bonds, real estate, foreign exchange, and commodities. The test allows to control for all transactions, delivering clear-cut results. How do banks operate and where does the money supply come from? The financial crisis has heightened awareness that these questions have been unduly neglected by many researchers. During the past century, three different theories of banking were dominant at different times: (1) The currently prevalent financial intermediation theory of banking says that banks collect deposits and then lend these out, just like other non-bank financial intermediaries. (2) The older fractional reserve theory of banking says that each individual bank is a financial intermediary without the power to create money, but the banking system collectively is able to create money through the process of ‘multiple deposit expansion’ (the ‘money multiplier’). (3) The credit creation theory of banking, predominant a century ago, does not consider banks as financial intermediaries that gather deposits to lend out, but instead argues that each individual bank creates credit and money newly when granting a bank loan. The theories differ in their accounting treatment of bank lending as well as in their policy implications. Since according to the dominant financial intermediation theory banks are virtually identical with other non-bank financial intermediaries, they are not usually included in the economic models used in economics or by central bankers. Moreover, the theory of banks as intermediaries provides the rationale for capital adequacy-based bank regulation. Should this theory not be correct, currently prevailing economics modelling and policy-making would be without empirical foundation. Despite the importance of this question, so far only one empirical test of the three theories has been reported in learned journals. This paper presents a second empirical test, using an alternative methodology, which allows control for all other factors. The financial intermediation and the fractional reserve theories of banking are rejected by the evidence. This finding throws doubt on the rationale for regulating bank capital adequacy to avoid banking crises, as the case study of Credit Suisse during the crisis illustrates. The finding indicates that advice to encourage developing countries to borrow from abroad is misguided. The question is considered why the economics profession has failed over most of the past century to make any progress concerning knowledge of the monetary system, and why it instead moved ever further away from the truth as already recognised by the credit creation theory well over a century ago. The role of conflicts of interest and interested parties in shaping the current bank-free academic consensus is discussed. A number of avenues for needed further research are indicated. Post-crisis monetary policy has struggled to stimulate nominal demand. We model UK nominal GDP growth over 50 years with past monetary policy targets. The ‘general-to-specific’ methodology is used to find the best explanatory variables. Bank credit for GDP-transactions explains nominal GDP best. Interest rates and money aggregates do not influence nominal GDP significantly. The financial crisis of 2007–2008 triggered monetary policy designed to boost nominal demand, including ‘Quantitative Easing’, ‘Credit Easing’, ‘Forward Guidance’ and ‘Funding for Lending’. A key aim of these policies was to boost the quantity of bank credit to the non-financial corporate and household sectors. In the previous decades, however, policy-makers had not focused on bank credit. Indeed, over the past half century, different variables were raised to prominence in the quest to achieve desired nominal GDP outcomes. This paper conducts a long-overdue horse race between the various contenders in terms of their ability to account for observed nominal GDP growth, using a half-century of UK data since 1963. Employing the ‘General-to-Specific’ methodology, an equilibrium-correction model is estimated suggesting a long-run cointegrating relationship between disaggregated real economy credit and nominal GDP. Short-term and long-term interest rates and broad money do not appear to influence nominal GDP significantly. Vector autoregression and vector error correction modelling shows the real economy credit growth variable to be strongly exogenous to nominal GDP growth. Policy-makers are hence right to finally emphasise the role of bank credit, although they need to disaggregate it and specifically target bank credit for GDP-transactions. Thanks to the recent banking crises interest has grown in banks and how they operate. In the past, the empirical and institutional market micro-structure of the operation of banks had not been a primary focus for investigations by researchers, which is why they are not well covered in the literature. One neglected detail is the banks’ function as the creators and allocators of about 97% of the money supply (Werner, 1997 and Werner, 2005), which has recently attracted attention (Bank of England, 2014a, Bank of England, 2014b, Werner, 2014b and Werner, 2014c). It is the purpose of this paper to investigate precisely how banks create money, and why or whether companies cannot do the same. Since the implementation of banking operations takes place within a corporate accounting framework, this paper is based upon a comparative accounting analysis perspective. By breaking the accounting treatment of lending into two steps, the difference in the accounting operation by bank and non-bank corporations can be isolated. As a result, it can be established precisely why banks are different and what it is that makes them different: They are exempted from the Client Money Rules and thus, unlike other firms, do not have to segregate client money. This enables banks to classify their accounts payable liabilities arising from bank loan contracts as a different type of liability called ‘customer deposits’. The finding is important for many reasons, including for modelling the banking sector accurately in economic models, bank regulation and also for monetary reform proposals that aim at taking away the privilege of money creation from banks. 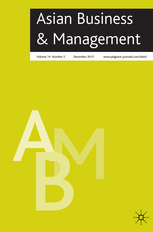 The paper thus adds to the growing literature on the institutional details and market micro-structure of our financial and monetary system, and in particular offers a new contribution to the literature on ‘what makes banks different’, from an accounting and regulatory perspective, solving the puzzle of why banks combine lending and deposit-taking operations under one roof. Unconventional approaches to suit unusual circumstances have become acceptable in monetary policy, a formerly highly conservative discipline. In this paper it is argued that unconventional approaches should also be considered in sovereign debt management, in order to contribute to resolving the eurozone sovereign debt crisis. First, the Troika crisis lending to indebted sovereign borrowers in the eurozone is reviewed and compared with standard IMF post-crisis lending. The main difference and shortcoming is the unsustainable character of the eurozone approach, due to the omission of demand stimulation components. To address this and other shortcomings, the features of an ideal alternative funding tool are identified. It would solve the funding problems of affected sovereigns, help stabilise the banking system, but most of all stimulate domestic demand and hence end the vicious downward spiral. It is found that this funding method can be implemented as part of enhanced public debt management by each nation’s debt management office. This paper presents the first empirical evidence in the history of banking on the question of whether banks can create money out of nothing. The banking crisis has revived interest in this issue, but it had remained unsettled. Three hypotheses are recognised in the literature. According to the financial intermediation theory of banking, banks are merely intermediaries like other non-bank financial institutions, collecting deposits that are then lent out. According to the fractional reserve theory of banking, individual banks are mere financial intermediaries that cannot create money, but collectively they end up creating money through systemic interaction. A third theory maintains that each individual bank has the power to create money ‘out of nothing’ and does so when it extends credit (the credit creation theory of banking). The question which of the theories is correct has far-reaching implications for research and policy. Surprisingly, despite the longstanding controversy, until now no empirical study has tested the theories. This is the contribution of the present paper. An empirical test is conducted, whereby money is borrowed from a cooperating bank, while its internal records are being monitored, to establish whether in the process of making the loan available to the borrower, the bank transfers these funds from other accounts within or outside the bank, or whether they are newly created. This study establishes for the first time empirically that banks individually create money out of nothing. The money supply is created as ‘fairy dust’ produced by the banks individually, “out of thin air”. Thanks to the banking crisis, there has been a greater awareness that leading economic theories and models, as well as influential advanced textbooks in macroeconomics and monetary economics may have been amiss when they neglected to include banks in their analyses. Economists are now labouring to include banking in their models. However already sixteen years ago a paper was published in this journal which presented probably the simplest possible framework that incorporates the economic consequences of banking into a macroeconomic framework: The ‘Quantity Theory of Credit’ (QTC, Werner (1997)). It resolves a number of perceived ‘anomalies’ in macroeconomics and finance, can be used to explain and predict banking crises, and carries a number of policy implications about how to enhance financial stability and deliver sustainable growth. Unlike many better known and far more complex models and theories, it has fared well during the turbulent period since it was proposed. In this paper QTC is revisited and a number of questions that have been raised in the profession concerning it are discussed. It is then applied to the following questions: how to detect and avoid banking crises; how to deliver sustainable and stable economic growth; how to end post-crisis recessions quickly – such as those in many European economies – while minimising costs to the tax payer; and finally, what a financial architecture would look like that has a higher chance of delivering the latter goals on a regular basis. The financial crisis has triggered a new consensus among economists that it is necessary to include a banking sector in macroeconomic models. It is also necessary for the finance and banking literature to consider how best to incorporate systemic, macroeconomic feedbacks into its modelling of financial intermediation. Thus a new research programme on the link between banking and the economy is needed. This special issue is devoted to this theme. In this paper an overview of the issues and problems in the economics and finance literature is presented, and a concrete, simple approach is identified of how to incorporate banks into a macroeconomic model that solves many of these issues. The model distinguishes between the type of credit that boosts GDP and credit that is associated with asset prices and banking crises. The model is consistent with the empirical record. Some applications are discussed, namely the prediction and prevention of banking crises, implications for fiscal policy, and a solution to the European sovereign debt crisis that stimulates growth while avoiding the corner solutions of euro exit or fiscal union. measures exist to boost it, but they have hitherto not been taken. Monetary targeting has been abandoned in deregulated and liberalized financial systems. Theoretically, this could imply that emerging markets that have not yet deregulated financial markets could employ monetarist policies. We analyse the case of China, in order to explore whether monetary targeting was in theory a possible policy framework for the central bank, and to glean policy lessons for emerging markets. Employing Svensson’s criteria for the selection of intermediate targets, we find that a measure such as M1 fulfils the criteria and can serve as an intermediate target. However, it is also found that the relatively small error between monetary target and actual variables may be due to alternative monetary policy procedures, in particular, the use of ‘window guidance’ credit controls. Next, we test the relevance of the McCallum rule in China, which appears more relevant than the Taylor rule. In particular, we find that the actual movement of M1 fits the McCallum rule reasonably well, even during the high inflation period from 1992 to 1994. This suggests that before the official adoption of M1 as the intermediate target in 1994, the People’s Bank of China may have already been ‘practising’ its use by implicitly following the McCallum rule. It is also found that monetary policy was too loose during 1992–1994 and a little too tight during 1998–2002. We conclude that an analysis of the traditional monetary aggregates is insufficient, and research on the role of credit aggregates would appear to be more promising. Meanwhile, policy lessons from our study include that central banks, even in emerging markets that maintain relatively regulated and ‘repressed’ financial markets, cannot rely too much on quantitative monetary aggregates, if traditionally defined. The research agenda which culminated in macromodels without banks (Walsh, 2003), without monetary aggregates (Woodford, 2003), or without a financial sector (most real business cycle and dynamic stochastic general equilibrium models), has not been successful. For monetary policy purposes, to explain and forecast GDP (Y) and prices (P), as well as to estimate the money demand function, a stable velocity V was required. This stability was the thread on which macroeconomics hung. It held up for a while, but increasingly a ‘velocity decline’ was observed: nominal GDP did not grow as much as the money supply. instead of rising to the empirical challenge to improve on their understanding of the monetary sector, economists chose to pretend that money and banks did not exist and had no influence on the economy. This was possible thanks to the prevalence of the hypothetico-deductive approach, which places little emphasis on empirical facts. The new moneyless economics however merely produced further empirical puzzles and ‘anomalies’ which by today have also discredited it: ‘The notion that there is something about banks that makes them “special” is a recurrent theme’ (Blanchard and Fischer, 1989, p. 478), one that is empirically well supported (e.g. Peek and Rosengren, 2000; Ashcraft, 2005; Werner, 2005; see also Fama, 1985). However, economists failed to identify what makes banks special. So the recurring banking crises have remained unexplained as well—a highly visible and embarrassing refutation of moneyless and bank-less macroeconomics. There is a future for macroeconomics, if it can explain the many and major empirical puzzles. Below I suggest a solution that has performed well empirically. It also has the advantage of being simpler: the principle of parsimony holds that a simpler explanation, relying on fewer assumptions, is preferable to a more complex one. Finally, it is not based on the deductive methodology, which was instrumental in leading macroeconomics into a cul-de-sac. Conventional wisdom among many economists, central bankers, financial journalists and politicians holds that Japan must implement ‘badly needed structural reforms’ (to quote from the Financial Times). ‘No recovery without structural reform’, proclaims Prime Minister Koizumi. Japan’s case is also used to advance similar reforms in other countries and regions, such as Germany, where they have already become a main plank of the government’s policies. Given this overwhelming consensus, it is tempting to assume that the structural reform theory has been thoroughly subjected to empirical tests and found to be clearly supported. However, such empirical examination has so far been lacking. This paper analyses the empirical record and tests the neo-classical theories on which the structural reform case rests. It comes to the surprising finding that there is no factual support for the structural reform argument. Supply-side factors were not responsible for Japan’s recession. An alternative demand-side explanation, focusing on credit creation, is found supported by the evidence. Response to William W. Grimes, "Comment on Richard Werner's 'The Enigma of Japanese Policy Ineffectiveness: The Limits of Traditional Approaches, Not Cyclical Policy'"
The use of eyewitness accounts to establish institutional details is common practice in many disciplines of the social sciences. While Adam Smith claims to draw on his experience of having visited a pin factory to describe the benefits of the division of labor, much of the discipline of economics has been beholden to the deductivist research methodology, which places little emphasis on the gathering and analysis of empirical data in the formulation of economic theories. However, there is a long history of inductivist economics, especially in continental Europe. 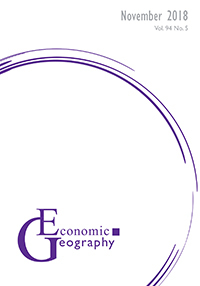 Moreover, leading economists in the United States have recently stepped up their efforts to engage in fieldwork.’ In area studies, where country-specific features need to be explored, the concept of fieldwork is naturally far more widespread, such as in the context of an examination of Japanese economic institutions. Examples for the use of interviews in research on the Japanese economy include the interview with Miyohei Shinohara in Amsden (2001), or the extensive use of interviews to establish details of monetary policy implementation during the 1980s and early 1990s in Richard Werner (1999, 2002, 2003). The present paper adds to this growing strand of literature by contributing a frank interview with a former senior Japanese central bank official. Restructuring of the banking sector has been a major topic in Japan for at least a decade now. It is also a major and recurring topic for many policymakers in both the developed world and among developing countries. This paper examines the implications of post-crisis banking sector restructuring for economic growth. First, a relevant feature of banking activity is analyzed in a basic framework linking bank credit to the economy. Using this model, the common causes of banking crises are examined and policies on how to avoid them are suggested. Next, the dynamics of banking crises are examined and how traditional bank restructuring, as also often implemented under the auspices of international organizations, affects them. This includes an analysis of the impact of increased fiscal expenditures as part of bank reforms. Finally, a modified program of banking reform that avoids the problems of traditional policies and which considers macroeconomic stability is proposed. Since the 1970s, many central banks – including the Bank of England, the Bank of France, the Bank of Korea and the Bank of Japan – have announced that they have ceased direct credit controls. Researchers have tended to accept ‘what they say’, without gathering empirical evidence on ‘what they do’. The Bank of Japan announced that it was abandoning direct credit controls in 1982. Since then, the monetary policy literature on Japan has focussed on formal policy tools, such as interest rates. This paper presents empirical research on the actual implementation of monetary policy by the Japanese central bank. The emphasis is on the period in the mid‐ to late‐1980s when monetary policy was stimulatory and real‐estate‐related lending expanded rapidly, and the period in the early 1990s, when asset prices fell, resulting in the subsequent banking crisis and recession. The paper first briefly surveys the literature. Empirical research is then presented in three parts. Secondary sources are accessed to gain information on the mechanism of monetary policy conduct. New field work is then presented, which uses primary sources to probe the details of monetary policy implementation. Finally, econometric evidence is gathered to test various hypotheses concerning monetary policy procedures. The research successfully establishes the details and nature of the Bank of Japan’s monetary policy implementation during the 1980s and early 1990s. The findings suggest the need for a modification of the generally prevailing view, as well as the need for further research on the actual implementation of monetary policy in other countries. 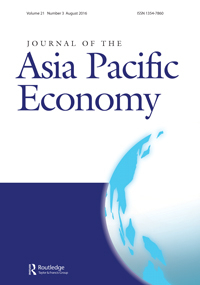 Directed credit is seen by recent literature as having contributed to high post-war economic growth in several Asian countries, including Japan, Korea, Taiwan, Thailand, and Indonesia. Its use, however, remains controversial. This paper adopts ex ante predictive power as criterion for the evaluation of the usefulness of theories and policies. For this purpose it attempts to identify the historical rationale of the credit direction policies adopted by Japan—the East Asian country that developed earliest and most successfully. It is found that Japan’s directed credit policymakers modeled their system on the practice of the Reichsbank, under its president Hjalmar Schacht in the 1920s, and the economic thought of German development economists at the time, who argued for a strong role of banks as conduits of official guidance within an overall growth-oriented institutional design. This paper provides some support for directed credit policies and offers an alternative explanation for the emergence of a bank-based financial system in Japan and other countries. A Discussion of Anil K. Kashyap's Paper "Sorting Out Japan's Financial Crisis"
The purpose of this article is to discuss the paper by Anil K. Kashyap on Japan’s financial crisis (Kashyap 2002). The reader is advised to read Kashyap’s paper in parallel with this discussion, which closely follows the structure of his paper. Comments on Kashyap’s statements are made in chronological order, and using Kashyap’s section headings. Three important “anomalies” that have occured in the 1980s in several countries, including Scandinavia and Japan, have challenged the traditional monetary model: (1) the observed velocity decline and consequent instability of the money demand function; (2) significant asset price rises, often referred to as “bubbles” and (3) enormous capital outflows from Japan in the 1980s and a sudden reversal in the 1990s. In this paper, a simple model is proposed that encompasses traditional theory and manages to explain the three main anomalies. It centres on a “quantity theory” framework of credit-money ciruclation, which is disaggregated into “real” and financial transactions. Excess credit creation in the “financial circulation” is shown to be resopnsible for asset price booms, the observed velocity decline and, in an open economy extension, foreign investment. Empirical evidence from Japan supports the model. Implications for theory, further research and policy are explored. 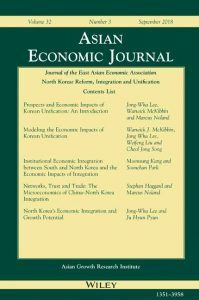 The aim of this paper is to examine the determinants of Japanese net long‐term capital flows in the 1980s and early 1990s. A basic framework is proposed which takes account of Japan’s so‐called land bubble by incorporating the interaction of land with the banking sector in a macroeconomic portfolio model of capital flows. Empirical evidence is supportive of the hypothesis that land‐related bank loans have been a major determinant of Japanese net long‐term foreign investment. the hypothesis of substitution between direct and indirect foreign investment also receives support, and areas of future research are mentioned.